WI sunshine punks Technicolor Teeth have a brand new music video and I am totally psyched to be premiering it here at GIMME TINNITUS. The video was filmed by the band at and around Kate Blood‘s grave in Appleton, WI. The song is the B-Side off of Technicolor Teeth‘s new Blood Pool 7 inch which was just released via Accidental Guest Recordings. 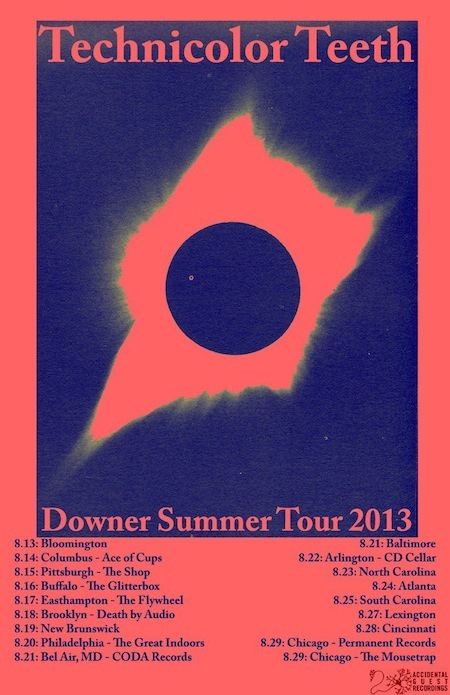 The band is on tour now (see tour dates on the poster below) including a stop at Brooklyn’s own Death by Audio. You can order Blood Pool b/w Drips @ accidentalguest.bigcartel.com (the first 100 copies are on clear/black).